Some of the biggest names in tennis turned their attention to basketball as NBA stars Dwyane Wade and Dirk Nowitzki played the final games of their careers on Wednesday. Alexander Zverev, John Isner and Andy Roddick paid tribute to them on social media. Zverev has cited Wade as his favourite athlete and had the chance to meet the Miami Heat shooting guard during the 2018 Miami Open presented by Itau. Isner, an avid basketball fan and friend of fellow Dallas resident Nowitzki, tweeted video of the German’s last shot and wrote “What a freakin legend,” adding a goat emoji. Nowitzki is a tennis fan himself and has made several appearances at the ATP Challenger Tour event in Dallas. Isner and Roddick have also participated in Nowitzki’s charity tennis event in Dallas. 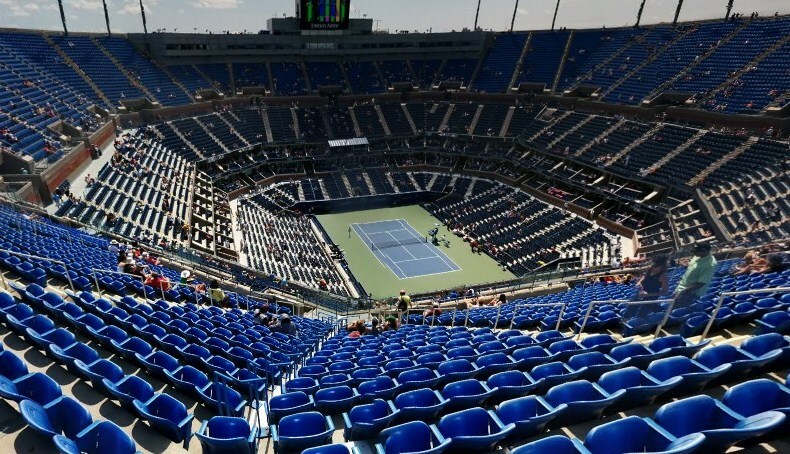 Zverev is next scheduled to compete at the Rolex Monte-Carlo Masters, while Isner will make his clay-court debut this season at the Mutua Madrid Open. 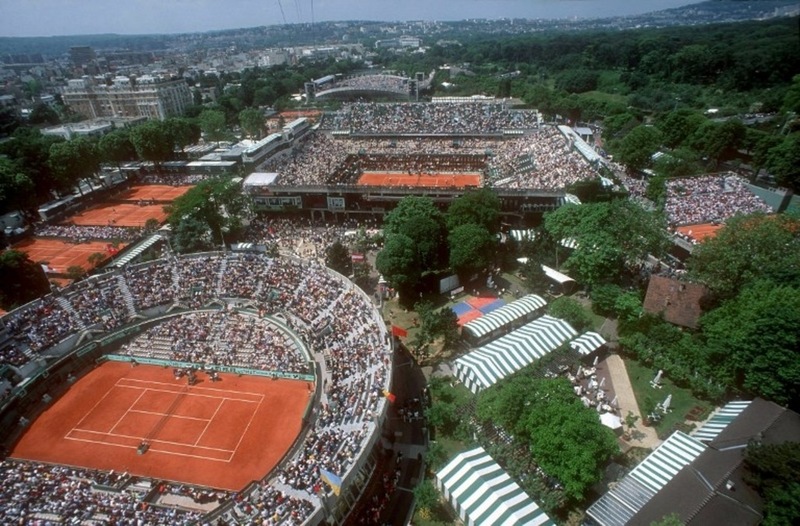 The Rolex Monte-Carlo Masters is the first of three ATP Masters 1000 tournaments played on clay. Held at the picturesque Monte-Carlo Country Club, the history has a long tradition of champions, led by Spain’s Rafael Nadal, who has won 11 titles at the event, including an Open Era record eight straight between 2005-2012. Nadal will open his 2019 clay-court campaign in Monte-Carlo, and is joined in the field by past champions Novak Djokovic and Stan Wawrinka, and the likes of Alexander Zverev, Dominic Thiem, Kei Nishikori and Stefanos Tsitsipas. Here’s all you need to know about Monte-Carlo tennis tournament: when is the draw, what is the schedule, where to watch, who won and more. * Main draw: Sunday, 14 April – Friday, 19 April from 11am. Saturday, 20 April at 11:30am. You’re supposed to be calm and confident before the biggest moment of your life, right? I was not. I was a bundle of nerves. Was I really playing in my first ATP Tour final, only two months after one of the worst days of my life? I wasn’t nervous because of doubts – I thought I could win my first ATP Tour title. But when I walked onto centre court in Rio, with the sun shining and the fans cheering, my mind was everywhere. What are my parents thinking? What would they say to me? Is my dad, the man who had been there for every step of my career, pleased? It didn’t matter how many times I tried to refocus on the present, I couldn’t bring myself to completely focus on the match. All my life, my parents and I had worked for this moment. Since I was , my dad had taught me so much about tennis – always traveling with me, teaching me, helping me. Until a few months ago, nearly every memory I had about the sport starred my father. 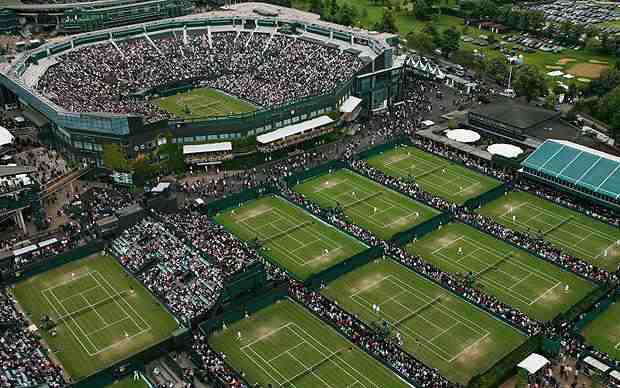 But life changes quickly, and I’ve had to learn to appreciate everything, including opportunities as rare as a final at the ATP 500 level. From the back of the court, I steadied my thoughts and focused on my routines. “Felix Auger-Aliassime to serve,” Mohamed Lahyani, the chair umpire, said. Even with all my nervous energy, I had a measure of peace about the final. I knew that, even though my parents weren’t in the stadium that night, they were watching. My father, Caba, had no dreams of having a professional tennis player as a son. He loved football and played for the local club in Senta, my hometown in Serbia. But when I was five, his passion for tennis made him want to learn how to play. My dad had watched the icons of my early childhood – Pete Sampras, Andre Agassi and Goran Ivanisevic, from neighboring Croatia – and had become a dedicated fan. The day he started to learn, I did, too. I walked with him to the clay courts, and they gave me a racquet and a ball, and I hit against the wall. Eventually, I started to practise and, after about two years of working with a coach and my father, they saw that I was quite good. I liked it as well, so my dad and I started traveling to tennis tournaments all across my country. At least three weekends a month, we’d drive across Serbia, to Belgrade, Novi Sad, Pančevo, Kraljevo, Subotica and Kikinda. My dad would drive and I’d lie in the back, sleeping. We’d stay Saturday, Sunday and, if I made the final, Monday. When you’re a kid starting in a sport, wins mean more to you than they should, and losses hurt more than you can imagine. But my dad always tried to keep me level. He’d console me when I lost and encourage me when I won. My childhood, however, wasn’t all about tennis. I can remember when I was really little, visiting my grandmother’s, my mom’s mom. My grandmother would always knead dough and make pasta, and when we visited, she would give my sister, Judit, and I a piece of dough – but like play-doh – so we could play along. We’d knead, cut and fold the “dough”, but never eat it. I didn’t know it at the time, but, during those trips, my love for baking was born. My tennis career, by the time I was 15, was also progressing. Then I found out my mom, Hajnalka, had cancer. It had started in her colon, and by the time she was diagnosed, in November 2010, the cancer was already metastatic. Seventeen months later, she died. She was 44. I was 16 and without a mom. In Rio, neither Felix nor I had played our best in the first set. But after five breaks, I settled down and added one more to take the first set. My early play matched my pre-final feelings. I was happy to have a chance to play in my first final because, for sure, it will affect my career. My ranking will go up, and if I win, my goal will be accomplished. But I couldn’t quite feel relaxed. This is why I work with a sports psychologist. We speak about different situations that can come up during a match, how I’m feeling and how I can work to stay in the moment. For example, if I feel distracted, I’ll tell myself a keyword or go through a routine that will bring me back to the present. Or if I feel fear, I’ll try to find out why I’m feeling that way. Usually I feel scared or worried because I’m not in the present moment – I’m thinking about what the consequences might be if I lose. But, because of my psychologist’s help, I can quickly – in a matter of a seconds – return to the present. I went through this process multiple times in all my matches in Rio, including when I played Dominic Thiem, a matchup that made my coach cringe. He felt like I was playing so good in practice and was sad that I’d have to play Thiem, one of the best players in the world. But, as I’ve tried to do all of my life, I looked at it positively. Maybe this was a good moment to play the top seed. Three matches later, I was in the Rio final, and after 41 minutes, as I sat down for the break, I could breathe a little easier. In 2017, five years after my mom died, I was having the best year of my career. Our new family of three – my dad, sister and I – had managed to recover from losing my mom, and on the court, I had never played better. I made five ATP Challenger Tour finals, and won one of them, my first Challenger title. My ranking had jumped almost 100 spots. For the first time, I was set to finish the year inside the Top 100. I felt like all the work my coaches, my dad and I had done was paying off. Although my dad was never officially my “coach”, he was always helping me like a coach would and guiding my career. He laid out my schedule, and together, we’d sit down and decide which tournaments I’d play and when. He handled the travel logistics, buying airplane tickets or deciding the best way to get there. He came to most of my matches, too. I can still see him pumping his fist when I played the 2017 Roland Garros qualifying. I always felt his support when he was there, but even when he couldn’t come, I knew he was watching. After a match, I’d open up my phone and, win or lose, the first thing I’d see would be a text message from him. “Great work!” “Very good job!” “Congrats!” he’d say if I won. To end my 2017 season, I lost in qualifying at the Rolex Paris Masters. I headed home for the beginning of my off-season, a period of relaxation before heavy training. I was so grateful to be able to spend time with my sister and father. But after a few days, we learned everything was changing again. My dad had cancer. Colon cancer. The same as my mother. The dreaded thoughts raced into my head once more: Why is this happening to me? Why are things going like this? As if losing one parent wasn’t enough? The pain stayed with me for weeks, months. It never completely goes away, to be honest. But, this time, I also felt something different. I felt a big responsibility to my sister and father. My dad was the head of the family, and I was next in line, so I had to be strong. I had to be there for them. The tennis life – with constant travel and matches – is complicated enough, but the next 13 months were a blur. I was practising and traveling just as much, and when I got home, I wanted to rest, but I tried to go to the doctor with my dad or research his diagnosis or make phone calls about it. I wanted to try to help him as much as I could to show him love and support. I wanted to spend time with him and sit next to him. I gave everything I could, at least, I hope so. The worst part about that terrible time was that it ended. My dad went through radiotherapy and chemotherapy. Nothing worked. He died in December 2018. He was 55. And here I was, 23, without parents. You never know what you’re going to feel when your dream comes true. You spend hours thinking about the moment, envisioning yourself winning the final point and lifting the trophy. But how will it feel? The moment Felix hit a forehand into the net on my fifth championship point, I felt relief. I dropped my racquet, covered my face, puffed out my chest. I couldn’t believe what was happening. I pointed to the sky, where my parents were watching. Jumping around on court and waving to the crowd, I could feel my eyes well up. The trophy ceremony followed. The response since I first shared my story has been overwhelming. People, including my countryman Novak Djokovic, supported me on Twitter – so I heard, I’m not on Twitter yet – and others shared nice words in person, including Nick Kyrgios, who, the first time he saw me in Indian Wells, came up from behind me and gave me a big hug. I didn’t plan on mentioning my parents during the ceremony, but I feel a responsibility to share my story. I felt strong enough to push through their deaths, and I hope that I can be an example for others who are going through tough times. If you believe and you try really hard, better times will come, and you can achieve amazing things if you are strong enough. If I can do it, then I’m sure anybody can do it. I think of my parents every day. They shaped who I am, inwardly – how I treat people, how I go about my days – and outwardly – what I do with my time. I play tennis because of my dad, and I relax through baking – cinnamon buns, apple crumble and chocolate brownies with almonds are some of my favourites – because of my mom’s side of the family. Good has come out of my struggle. I know my purpose in life. I have to play tennis and continue the work my family started with me 20 years ago. Although, because I’ve been through so much, I sometimes feel as if I’m 50 years old, I know that I’m not the unluckiest person on Earth. Many other people struggle and have problems. It’s not easy for anyone. I just have to continue my life. I miss my dad’s text messages after matches, and I miss my mom’s love and support. Life would be easier with them. But I know that my time will also come. We are not here forever, not one of us, and I just want to use the time while I’m here in a positive way and do as much good as I can. I will see my parents again, whether I want to or not. But while I’m here, I just want to make sure I give all that I can and make them proud. Divide and conquer. The way to win big battles is to cut them up into smaller, more manageable ones. It’s also an ideal way to understand the constricting pressure Rafael Nadal applies at the beginning of a game against his opponents on clay courts. An Infosys ATP Beyond The Numbers analysis of Nadal competing in just the first two points of the game when serving and returning at the five biggest European clay-court events uncovers that he is almost unstoppable if he creates early separation. You May Also Like: Rafael Nadal: Stand (Back) And Deliver! 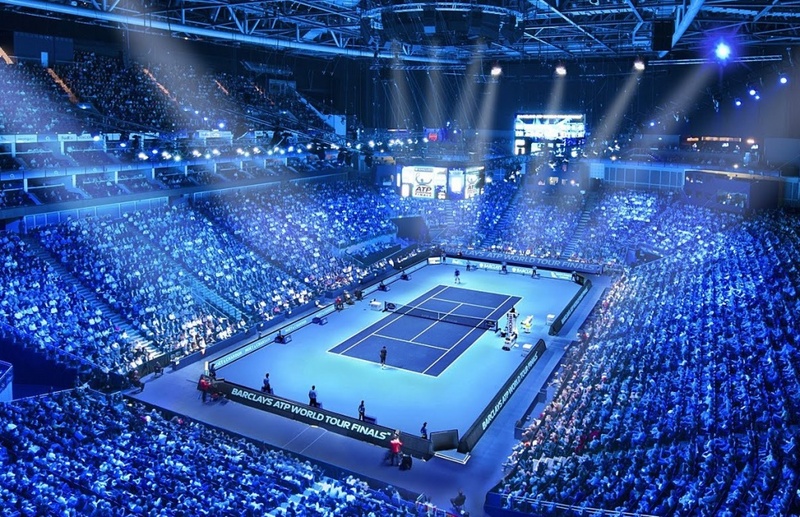 The five tournaments are the Rolex Monte-Carlo Masters, the Barcelona Open Banc Sabadell, the Mutua Madrid Open, the Internazionali BNL d’Italia and Roland Garros. Nadal played all five events from 2015-2018 but withdrew in the Round of 32 of Roland Garros in 2016 with a left wrist injury. Nadal has won 80 titles in his career, with these five tournaments representing 58 per cent (46) of that total. In the past four years at these five events, Nadal has astonishingly lost serve only 12 times out of 424 service games when leading 30/0. It’s the next best thing to automatic, and here’s where the battle gets even harder for his opponents. After playing just two points on serve, Nadal is more likely to be at 30/0 than either of the other two scores. Nadal is still well in command when serving at 15/15, holding 83 per cent (324/392) of the time. Even from the perilous position of 0/30, Nadal is still effectively in break-even territory, rallying to hold 49 per cent of the time. While Nadal was more favoured to lead 30/0 after two points played when serving, his opponents are far more likely to lose one of the opening two points against the Spaniard when he is returning. Nadal forces his opponents to 15/15 55 per cent (458/831) of the time, instantly spiking the pressure metre. What’s fascinating is that his opponents slipped to 0/30 25 per cent (211/831) of the time, which was more often than they enjoyed a 30/0 lead, just 19 per cent (162/831) of the time. The end result is that Nadal navigates himself to 30/0 when serving more than twice as much (46% to 19%) as his opponents. Nadal’s most eye-popping return stat is that he has broken serve at Roland Garros 54 per cent (67/123) of the time when his opponent has served at 15/15 in the past four years. The game is just beginning, but Nadal’s hidden edge to break serve is already in full swing. Playing Nadal in any of these five events is a monumental challenge. He boasts a career win percentage of 92 per cent (317/343) during the European clay-court swing, and he has suffered just nine losses there in the past four years. Giving Nadal an early lead in the game makes winning it nearly impossible. Playing boldly against Nadal early in the game to grab the initial score advantage certainly has its merits. Chile’s Christian Garin saved five match points to make his second ATP Tour quarter-final on Wednesday at the Fayez Sarofim & Co. U.S. Men’s Clay Court Championship in Houston. The 22-year-old right-hander was down 3-5, ad out, four times in the third set against Jeremy Chardy. Yet every time, Garin forced the game back to deuce. The second-seeded Chardy had one more match point in the tie-break, at 7/6, but Garin erased that opportunity as well and clinched his second match point to advance 3-6, 7-6(4), 7-6(6). The Frenchman was plagued with unforced errors, including 13 double faults, one of which gave Garin the break at 3-5 in the third. Chardy donated two more double faults in the third-set tie-break. Both players had their chances, though. 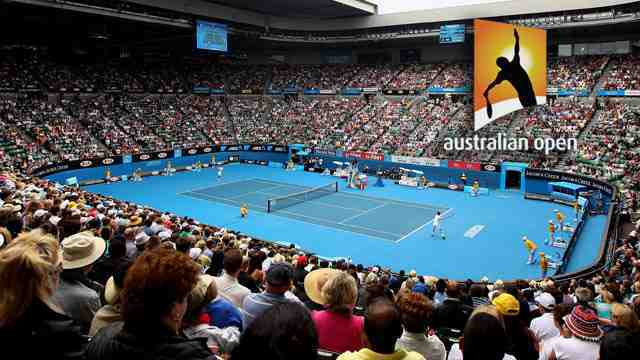 For the match, 32 break points were faced. Garin made his first ATP quarter-final, semi-final and final in February at the Brasil Open in Sao Paolo (l. to Pella). He will next meet Swiss qualifier Henri Laaksonen, who beat American Ryan Harrison 6-4, 7-5. Spain’s Marcel Granollers, 2008 champion, made his first ATP quarter-final since July in Newport, when he lost to eventual champion Steve Johnson. Granollers converted all five break points and dismissed Aussie Bernard Tomic 6-1, 6-2 in only 47 minutes. Granollers will next face American Reilly Opelka or #NextGenATP Norwegian Casper Ruud.